Looking for some fashionable gifts! Buy Reitmans gift card for your loved ones and let her decide what she wants to buy from the ultimate fashion collection for any occasion. Reitmans Gift Cards are redeemable online and in-store in all Reitmans (Canada) Limited Banners: Reitmans, RW&CO., Addition Elle, Penningtons, Thyme and Hyba. Gift cards are redeemable in all Reitmans (Canada) Limited Banners: Reitmans, RW&CO., Addition Elle, Penningtons, Thyme and Hyba. For Online use, you can enter your gift card number into the gift card entry fields during the checkout process. You will need to enter both the gift card number and the 4-digit PIN (if you have a pin) located on the back of your gift card. For in-store purchase, simply present your gift card at checkout terminal to pay for your purchase at store. Reitmans gift card is a pre-paid, re-loadable cash card that you can use to pay for merchandise online or at any of their locations across Canada. You can use gift cards or a credit card to complete your purchase. Currently, you can use up to five gift cards to complete a purchase. PayPal payment cannot be combined with other form of payments. The balance on your gift card can be checked anytime at any of our store locations. No purchase is necessary to check your balance. To check balance online visit https://www.reitmans.com/en/gift-cards. If your gift card has been registered and is lost or stolen, please call our Customer Service Centre immediately to freeze and transfer your remaining balance to another card. Physical gift cards can be re-loaded. Simply present your gift card at one of their stores and ask the Store Associate to add whatever amount you choose. Re-loading a card online is presently not possible. For any further information you can email Costomer service center at [email protected] or can call on 1-866-734-8626. 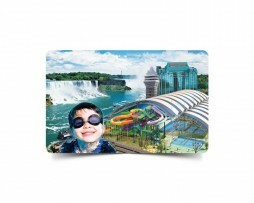 * Reitmans Gift Card, Logos, Slogans And Related Marks Are The Property Of Reitmans (Canada) Limited.